The sequel to Zafehouse Diaires has arrived! You can now purchase the game on Steam or directly from us. Thanks to everyone who has returned for another outing in the drama-filled, chaotic world of Zafehouse and its unique brand of zombie mayhem! If you'd like a DRM-free version of the game, along with a Steam key, please purchase the game from us, direct. Alternatively, you can grab the game straight from Steam. If you've been anticipating the release of our latest game Fear Equation on Steam or GOG, your chance to venture into the fog is here! The game is now out on both sites and to celebrate, we're having a 25% off sale for a limited time. 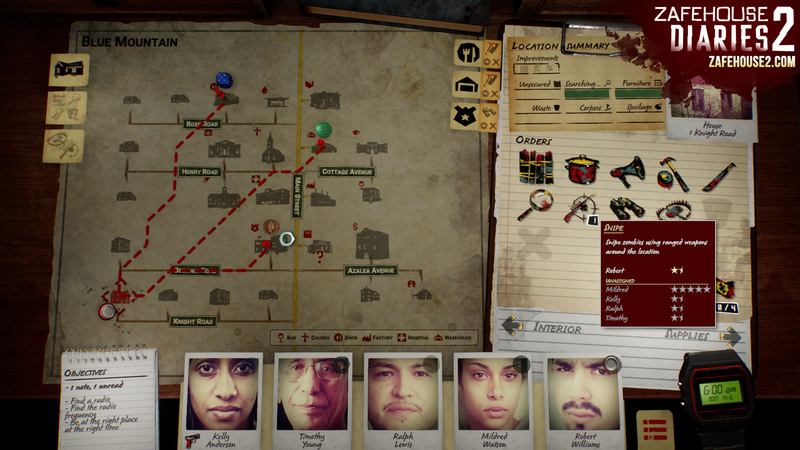 Fear Equation is a genre-spanning horror strategy title where no two games are the same. The world is covered in a mysterious fog. Most who enter the fog disappear, and those who survive say it brings their nightmares to life. You are The Engineer and you're in control of a very special train. Will you rescue survivors and keep them safe from their nightmares? Can you lead them to salvation? With the release of Fear Equation drawing closer, what better time to show you more of the game -- this time in video form! Here's our first trailer, featuring various snippets of gameplay including rigging the lottery, scavenging missions, course plotting and driving the train, as well as a peek at a few of the fear manifestations themselves. If you'd like to stay up-to-date with developments, be sure to follow us on Facebook and Twitter. Hello folks! 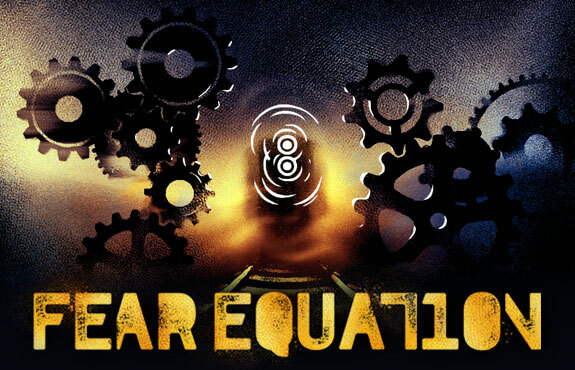 We're happy to announce our next game, Fear Equation. It’s due out this year -- we're aiming for October. It’s a horror strategy game -- part-real time, part-turn-based -- where your job is to guide 150 passengers through a fog that brings their nightmares to life. Keep things under control though, because if you mess up, the fog will be the least of your worries. 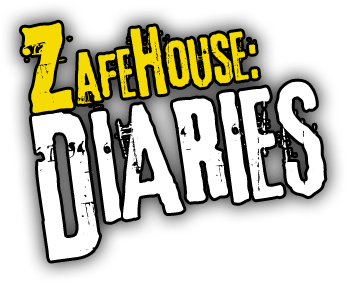 If you've played Zafehouse Diaries and Deadnaut, you'll know what you’re in for. Check out the teaser site here. We'll be announcing more details shortly. Good news! 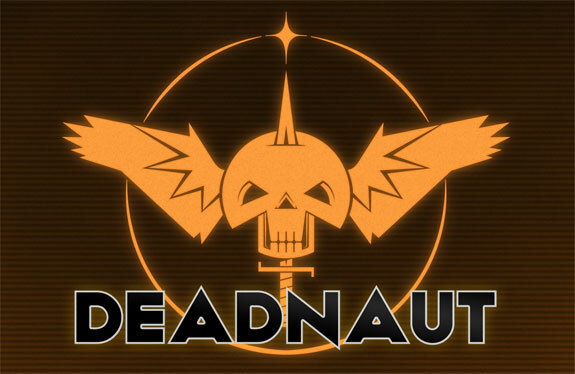 The full version of Deadnaut, the second game from Screwfly Studios, is now available for purchase directly from us. If you buy it direct, you'll get a DRM-free download and we'll also send you a Steam key when we launch there. 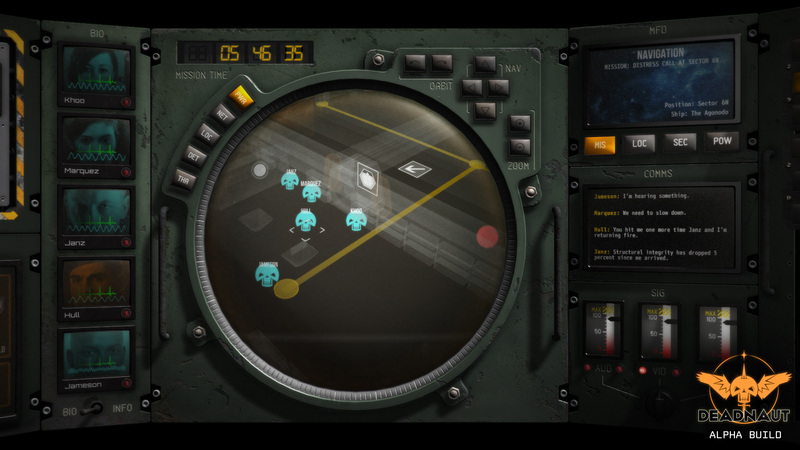 The game is currently available for Windows and Mac OS X users; purchasing the game gives you access to both versions. If you have any suggestions, bug reports or would simply like to share your experiences, please visit our official forums. Otherwise, good luck exploring... and surviving! Grab the Deadnaut Technical Demo! In preparation for the release of the full version, we've made available a technical demo of Deadnaut with a limited feature set. The primary goal of this build is to test the game on as wide a range of hardware as possible to iron out any platform-related issues, though there is a good amount of content in there for players to try out. We have two versions for download: Windows and Mac OS X. We're particularly interested in results from users with Macs, but we appreciate any and all feedback regarding technical issues you may encounter running the game. For more details, hit up the release post on our official forums! Hey everyone! We've just announced our next game, Deadnaut! Due out in October for Windows, Mac and Linux, Deadnaut is a game set in a future where humanity finally makes it to the stars, only to discover it's the only civilisation left. Everyone else was wiped out long ago and it's up to you and your team of five guns-for-hire to figure out what happened. Along with a refined and improved relationship system, like that seen in Zafehouse, Deadnaut introduces the concept of stability, where the mental state of your characters requires monitoring as they delve into increasingly more terrifying and disturbing mysteries. If a character doesn't like confined spaces, they'll react negatively if left in a small corridor, while someone unsettled by death will have a hard time moving through a derelict starship full of corpses. For each mystery, you'll need to explore the husks of long-dead shuttles, freighters and other craft, reading procedurally-generated crew logs, fighting (or hiding) from aggressive aliens -- mutants, experiments-gone-wrong and even Lovecraft-inspired horrors -- and hacking consoles while evading Watchers, the emotionless AIs that protect most ships. 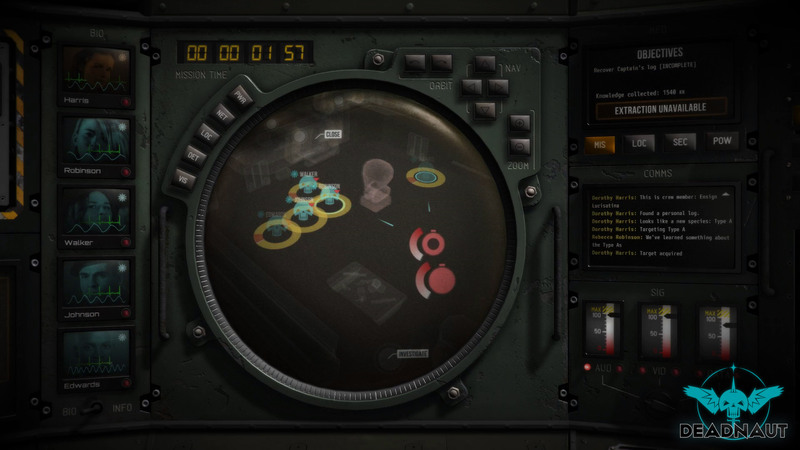 Of course, you'll be able to create your own Deadnauts, importing pictures of friends, crafting their back-stories and defining their relationships with other crew members. If you just want to jump in and play, the game will generate a batch of capable, yet challenging miscreants for you to deal with. If you'd like to see more screenshots, be sure to head over to the teaser site and if you have any questions or comments, hit up the Deadnaut section on our forums. For news and updates, follow us on Twitter! 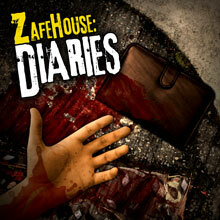 Zafehouse: Diaries has been updated to version 1.2.3! This patch introduces an Item Editor to the Custom Content Manager, so you can create your own weapons, tools, food, medicine and protection gear and have it appear in-game. Better still, you can compile your own item "packs" that you can share with your friends. Don't worry -- you can still add items via regular C# modding and, in fact, this is still the only way to create more complex items. We've done our best to make the editor as robust as possible, but we understand that once players get their hands on it, issues are likely to appear. So please bear in mind that it's a work-in-progress and we'll be watching the forums closely for bug reports and suggestions. v1.2.3 also includes a number of fixes and tweaks, all of which you can read about in the full notes on the forums. We're pleased to announce the release of patch v1.2.2! 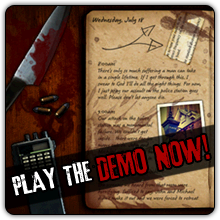 The update focuses on adding more content to No Survivors, as well as providing extra options during the mid-to-late game in all three modes. For Steam users, v1.2.2 includes 12 unique achievements to get stuck into! Fortifying a location now allows you to build further upgrades including a fence, sniper's nest and watch tower. The fence adds another barrier between you and the hordes, protecting your barricades from attack and giving your survivors the peace and quiet they deserve. Fences also allow you to move out of surrounded locations, so you'll want to build one as soon as you can. The sniper's nest boosts the accuracy of your snipers, while the watch tower lets you see zombies far and wide. You'll find powerful outdoor traps have been added to your defensive repertoire, so you can kill and maim zombies before they even get inside. These traps can be placed at any time, regardless of how fortified a location is. A new occupation, the Mayor, makes an appearance. He won't be killing zombies by the truckload or performing heart surgery on your wounded survivors, but he has intimate knowledge of various locations around town and when tasked with searching them, can quickly uncover everything inside, including clues. Finally, we've done a fair bit of balancing and tweaking. You'll find combat against enemy survivors is more consistent and rifle weapons have had their effectiveness improved against living targets. Full patch notes and download instructions can be found on the Screwfly Studios forum. Firstly, the new options screen. 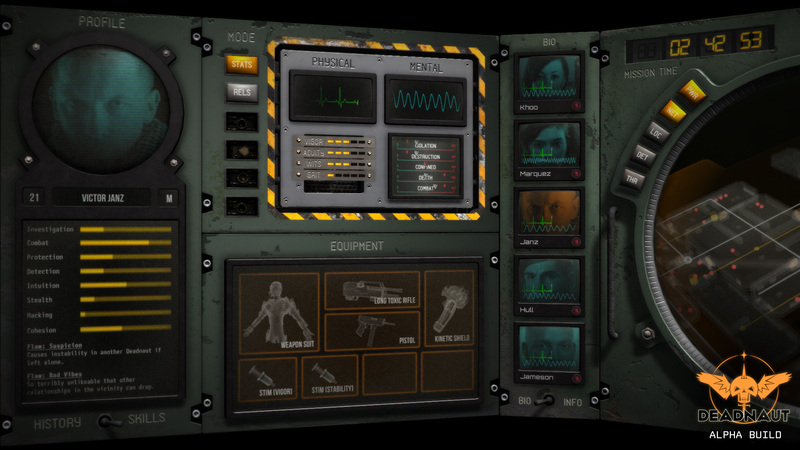 We've reworked the graphics and functionality of this screen and added a page where you can change a variety of in-game settings, including how quickly zombies enter the map and how many start inside locations. You can boost the distribution levels of food, medicine and ammunition and prevent survivors from hurting each other because of bad relationships. These options affect No Survivors, Road Kill and Deadline, so be sure to review them between games. Of course, you don't have to touch these values at all, allowing you to enjoy Zafehouse: Diaries at the intended difficulty. Now, let's cover the new stuff. We've added the Museum as a location, somewhere you'll want to spend time exploring, especially if you have a taste for exotic ancient weaponry and equipment. The police station now has its own dilemma, which if you overcome successfully, will give you a constant stream of intel regarding the location of zombies around the town. Finally, you can head over to the church, where there's a chance one of your survivors will let go of their prejudices.